We all scream for ice cream. So too have doctors and other health experts, in futility and for decades now, about the delicious and unhealthy nature of America’s favorite frozen treat. Presently, the take-home ice cream market is as crowded as it’s ever been. There are still your “full-fat” varieties, the traditionally thick and creamy dessert treats. There’s frozen yogurt, which is lower in fat but still derived from cultured milk. 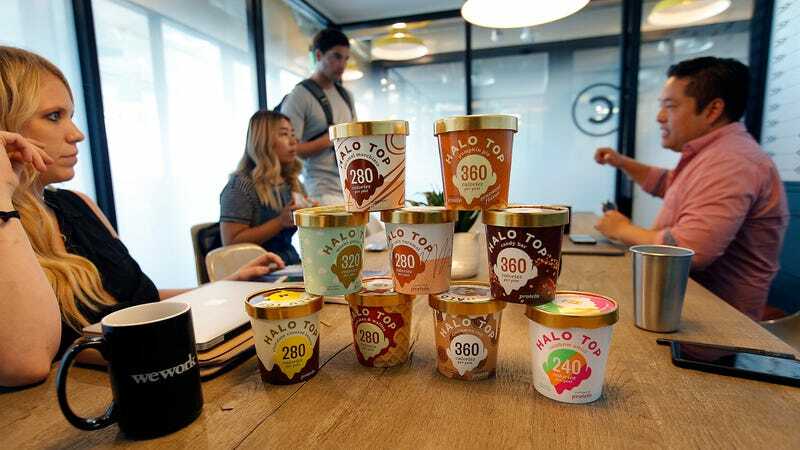 There’s the growing popularity of gelato and its own permutations, along with non-dairy frozen desserts, or increasingly popular “light” ice cream options like Halo Top. And look, it’s Friday. The Takeout really isn’t trying to get into the business of scolding people about their dessert preferences. We stand on the record as proudly pro-dessert, if anything. But the report offers another valuable reminder that health-food advertising is still just another kind of marketing, and that it’s probably not nutritionally advantageous to eat a full pint of any dessert.